Troy Tube is manufacturer of both OEM and aftermarket hydraulic brake lines for the automotive and defense markets. We are tooled for both SAE and DIN standard brake line connections in various tube diameters. We produce brake lines made from various material types including single and double wall coated steel, stainless steel, and cooper-nickel. 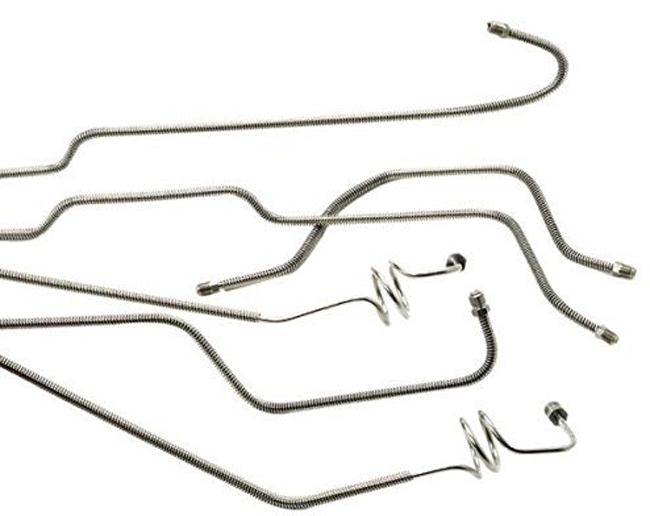 Our brake lines configurations have also included spring armors as well as braided or rubber hose.